When it comes to “bad” health behaviors like smoking, imbalanced eating (e.g., excessively or not enough, opting for poor quality foods lacking nutritious value, lack of exercise), most of us know they are not healthy behaviors. But, we are really good at rationalizing in defense of holding on to these behaviors: because they feel good or they are convenient, or they aren’t the worst possible vices, or we will all die someday and we just want to enjoy life, or at least they are not hurting anyone else... Although we have years of scientific evidence [1, 2, 3] showing us just how dangerous these behaviors are, we still do it. Why? Well, perhaps these decisions aren’t always rationally-based, instead they are shaped by emotion. Many of these behaviors provide a sense of temporary relief, comfort, and even escape from otherwise challenging emotional life events. The emotional reactions that shape how we think about our health are deeply ingrained in us, based in evolutionary habits, and often beyond conscious awareness . But, what if we could exploit these unconscious patterns and use the emotional nature of health-related behaviors to our benefit? Allow me to share a personal anecdote, which I have touched upon in a past blog post. When my mother passed away, my father suddenly became a single father, solely responsible for raising and supporting my brother (then, 12 years old) and I (6 years old). Having recently emigrated from Iran to the United States, my father had to work several jobs to support our family. I often think back on these years in awe of my father’s determination in the face of so much challenge and suffering. Prior to my mother’s illness, both of my parents smoked cigarettes daily. Like a lot of smokers, this was a social practice for them, a communal habit shared among their friends and in the workplace. However, once my mother passed, my father was faced with the reality of mortality and the extent to which his children depended on him for survival. So, my father vowed to quit smoking the day my mother passed. And he did it. COLD TURKEY. Almost 30 years later, my father has never smoked another cigarette in his life. Looking back, I can understand my father’s journey as an adaptation of the Buddhist practice of “Dedication of Merit.” There are many ways to describe this practice, but simply stated: it is a practice of living our lives as an offering to others, honoring others in our actions and thoughts. My father is by no means a Buddhist monk, he has probably never even heard of this practice. But he somehow intuitively applied this strategy to inform his personal journey. By dedicating the effort of his smoking cessation to honor his deceased wife and two living children, my dad was driven by a greater motivating purpose. This ultimately gave him the momentum to override those deeply ingrained emotional reactions and beliefs that supported his smoking habit, and succeed in overturning this behavior altogether. Next time you find yourself facing a seemingly insurmountable challenge, dedicating the effort of your hard work in honor of someone else may give you an opportunity to focus and direct your energy in a more powerful way. You can practice the dedication of merit in a daily meditation: “I dedicate the merit of this day to _____.” You can choose to honor loved ones or someone in crisis. In the tradition of many Buddhist dedications, you can even extend this dedication to all beings everywhere. It’s important to note that dedication of merit is not only limited to contexts where we call upon others to give us purpose in our efforts, but also to share our in our successes and joys. In my next post, I will describe how this practice is also used to extend positive experiences. 1. Centers for Disease Control and Prevention (CDC. (2008). Smoking-attributable mortality, years of potential life lost, and productivity losses--United States, 2000-2004. MMWR. Morbidity and Mortality Weekly Report, 57(45), 1226. 2. Corrao, G., Bagnardi, V., Zambon, A., & La Vecchia, C. (2004). A meta-analysis of alcohol consumption and the risk of 15 diseases. Preventive Medicine, 38(5), 613-619. 3. Masters, R. K., Reither, E. N., Powers, D. A., Yang, Y. C., Burger, A. E., & Link, B. G. (2013). The impact of obesity on US mortality levels: the importance of age and cohort factors in population estimates. American Journal of Public Health, 103(10), 1895-1901. 4. Marteau, T. M., Hollands, G. J., & Fletcher, P. C. (2012). Changing human behavior to prevent disease: the importance of targeting automatic processes. Science, 337(6101), 1492-1495. Rebelle Society recently published my creative reflection about my love of dance and how it has transformed my life. Upon writing this reflection, I was reminded of the several key relationships that have been essential in fostering big changes towards healthy living. My experience of these supportive networks, alongside decades of research, finds that social networks are vital in shaping and sustaining health behaviors [1-5]. I will write much more on the benefits of supportive health communities and how to develop your own supportive communities and networks in a later post. First, I want to share a recent experience that has presented a profound challenge in my pursuit of healthy living: leaving my beloved health community behind and learning how to start all over again. We all experience life changes that limit our ability to be physically near to our greatest supporters and mentors. Even for those of us fortunate enough to have already had the opportunity to define and utilize the health practices that fit for our lives, many variables can potentially disrupt the ideal routine. Perhaps you take on a new job in a new city, and you have yet to find your community. Perhaps you are in a season of financial strain, which requires many hours of hard work for you to stay afloat, and you might not have the time or money to enroll in a gym or take exercise classes. These challenges illustrate the ever-changing and dynamic nature of our lives, and coming back to a physically and emotionally healthy routine is similar to the ongoing process of finding homeostasis. It is during these moments that the critical undertaking of developing self-reliance becomes most salient. Let me start with a note of gratitude. I was fortunate to be connected with some very amazing and inspiring mentors over the course of my wellness journey. The first was Julie Simon: dancer, instructor, performer, and unintentional philosopher. As Julie’s pupil, I was given so many gifts and tools. She introduced me to new worlds of dances and cultures with which I became utterly rapt: Africa, Brazil, Cuba, and more. She also taught me how to physically push beyond any limits I had placed on myself. 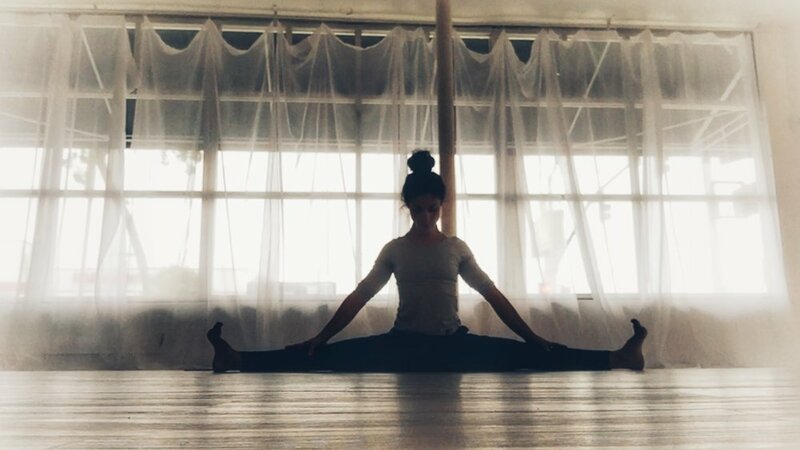 When I first started her class, the movement and the pace felt so inaccessible. But for some reason, I kept coming back. Now that Julie is one of my best friends, I know that this experience was not unique to me. Julie has a sparkling charisma that reaches almost everyone she comes into contact with. Beyond that, she creates a classroom environment that is so welcoming and celebratory and who wouldn’t want to be a part of that? Julie taught me how to dance, appreciate my own body, and use my body to it’s fullest potential (moving past my mental barriers of what I thought was physically possible). A few months after I met Julie, I happened upon another fateful mentorship. I began to practice Ashtanga Yoga with Western Yoga College, led by Scott Miller and Laura Cueva-Miller. Although I had been practicing yoga on and off for many years, this sangha was very special and they inspired a much deeper growth in my yoga practice. Scott and Laura taught me about the importance of discipline, hard work, and spiritual connection in the pursuit of total wellbeing. They also taught me about the importance of having a fun, light-hearted attitude, even while working toward difficult and serious goals. Leaving these mentors and beloved communities behind as I relocated to a new city was the hardest transition I have ever experienced. I didn’t know why it felt so bad at the time. In hindsight, I realized it was because I had become entirely dependent on my mentors to deliver these benefits to me. All this time as a student in their classrooms, my only task was to show up and allow them to guide me in reaching that state of mental clarity, physical pleasure, and emotional empowerment that was created by moving according to their direction. But now, many miles away, it became painfully clear that I was solely responsible for my own health journey. That didn’t stop me from wasting my time denying this fact! For many months, I searched for new classes, trying to find my replacement mentors. There were many talented inspirational people I met in this way, but none had the compelling pull that led me to abide and adhere so attentively to my embodied practices in the same way that my first mentors did. After many months of trying to fill the void in this way, I redirected my focus on the one teacher who was closest, most accessible, and most reliable in my life: ME. With a busy schedule and none of my trusted mentors nearby, I had to learn to take ownership over my own health journey. Luckily, I wasn’t starting from scratch; I had the tools given to me by past teachers. And yet, there was no friend, instructor, or boss I might potentially upset if I didn’t show up to my 6am home practice, other than myself. I will share with you the tools that help bring me just a little bit closer to self-reliance in my health journey. It is, of course, an ongoing process. · I do it for me – My health journey didn’t truly begin until I decided to embark on this path for the sake of myself and nothing or nobody else. It is so much more difficult to sustain motivation if it's only for the purposes of losing weight or gaining the acceptance of others. This is how people become trapped in the yo-yo effect of diet and exercise. There are extrinsic rewards: tangible changes to your body, more attention from others, more acceptance or validation on the basis of your physical appearance. But, over time, the attention and outside motivation may wane or become less meaningful. Success is much more sustainable when the health journey is based on the more stable and substanative foundation of self-love, kindness, and even enjoyment . · I learned to fall in love with the process – I believe that with familiarity and increased proficiency, this can happen naturally. At a certain point, I started to look forward to that painful, sweaty burn every morning. I changed the way I thought about the task ahead of me. Rather than being this horrible nuisance in my day, I try to think about the task of waking up and attending to my physical need for movement as an exquisite force that affords me the strength, mental clarity, and patience I need to get through the day. · I created the perfect soundtrack – Still to this day, I cannot do a proper workout to a song that does not fuel my fire. Research finds that music can be a useful tool for increased performance and improved psychological states, particularly during high intensity aerobic exercise . Everyone has a different preference and requirements for good music. Have fun exploring your favorite tunes and help make your workouts more fun. I’m always looking for more songs to add to my workout playlist. If you have favorites, please share! · I try to make it a habit – Honestly, I’m still working on this. However, the more habitual these practices become, the less need for negotiating, and having to think about the decision to follow through . Most folks don’t realize how much of human cognition runs on unconscious thought. We fancy ourselves a rational, thoughtful, and attentive bunch. Have you ever had the experience of sitting in your car on a long drive, when suddenly you notice you arrived at your destination, without any memory or awareness about the drive itself? This is how humans navigate the majority of our daily tasks. So I try to exploit this mindlessness to my benefit. To ensure that I will adhere to my daily health goals, I try to make the decisions as mindless as possible. If I don’t buy processed foods, I save myself the mental energy of having to make the decision to avoid them. Similarly, if I wake up at the same time every day and spend a few hours moving and sweating, my body becomes familiar with this routine, and I find less and less burden of choice or thought in the matter. · I created increased accountability – As a social psychologist, I know that one of the strongest social forces to compel behavior is what Bob Cialdini calls “Commitment and Consistency.” Basically, once I publicly agree to complete a task, I’m more likely to follow through . I started by declaring my goals and daily plans to my romantic partner. He would never scold me or make me feel guilty for missing my workouts or indulging on my favorite “cheat” foods. However, by publicly declaring my goals, I was also making a promise to someone else (who I care for very much). This helps me to substantiate the importance of honoring my word. Relatedly, another strategy I use to increase my accountability is to visualize my greatest mentors witnessing my daily health decisions. I spent so many days of my life in the studio with Julie, Scott, and Laura that I can easily imagine their voices and the instruction or feedback they might give when I’m practicing (or not practicing) all alone. Sometimes I even articulate those instructions to myself, aloud. This may sound silly, but it works. Call upon your internalized teachers. You’ll be surprised to find that so much of their wisdom and motivating power remains with you. · I think about the big picture – Health beliefs are actually quite emotional in nature. The truth is that most of us, even medical doctors, hold some strongly biased and inaccurate ideas and opinions about health and illness [10, 11]. One crucial change in my belief was when I started to link my daily behaviors with a bigger picture of my health as a whole. Enjoying ice cream and basking outdoors without sunscreen one sunny summer afternoon will not result in heart disease or skin cancer. However, these daily health decisions do accumulate over time, shaping the course of health. Many variables determine overall health outcomes: behaviors, lifestyles, personality types, social support, environment, and of course, genes and family histories. Scientists and doctors are still working to understand the etiologies (causes) of many of the most common illnesses that effect our population today. However, some of the biggest risk factors of most complex diseases we know today include behaviors that we can control, such as: smoking, drinking, and unhealthy weight gain [12-14]. Maintaining this sense of the bigger picture gives me a better sense of why it’s important to take ownership of my health journey, even when it is not convenient to do so. Paradoxically, during this time of seeking self-reliance, I realized that what I need to ensure adherence and success in my health goals is to create a supportive environment where it may not otherwise exist. This is not the same as looking to a mentor to dictate my daily health schedule, this insight comes from the acknowledgement that we are all social animals, and that we thrive on healthy conscious communities that provide for us a sense of support, meaning, enriched enjoyment, and added accountability. Knowing what I know about myself, I am highly extroverted, so this craving for social connection in my health journey may be particularly pronounced. In my next post, I will talk more about the vital role of social support in shaping health behaviors and outcomes and how to find or create your ideal health community. I wish you all the best on your journey towards self-reliant health! 1. Campbell, C., & Murray, M. (2004). Community health psychology: Promoting analysis and action for social change. Journal of Health Psychology, 9(2), 187-195. 2. Christakis, N. A., & Fowler, J. H. (2007). The spread of obesity in a large social network over 32 years. New England Journal of Medicine, 357(4), 370-379. 3. Cohen, S., & Wills, T. A. (1985). Stress, social support, and the buffering hypothesis. Psychological Bulletin, 98(2), 310. 4. Uchino, B. N. (2006). Social support and health: a review of physiological processes potentially underlying links to disease outcomes. Journal of behavioral medicine, 29(4), 377-387. 5. Umberson, D., & Montez, J. K. (2010). Social relationships and health a flashpoint for health policy. Journal of health and social behavior, 51(1 suppl), S54-S66. 6. Richard, M., Christina, M. F., Deborah, L. S., Rubio, N., & Kennon, M. S. (1997). Intrinsic motivation and exercise adherence. International Journal of Sport Psychology, 28(4), 335-354. 7. Karageorghis, C. I., & Priest, D. L. (2012). Music in the exercise domain: A review and synthesis (Part I). International Review of Sport and Exercise Psychology, 5(1), 44-66. 8. Aarts, H., Paulussen, T., & Schaalma, H. (1997). Physical exercise habit: On the conceptualization and formation of habitual health behaviours. Health Education Research, 12(3), 363-374. 9. Cialdini, R. B. (1987). Influence (Vol. 3). A. Michel. 10. Hagger, M. S., & Orbell, S. (2003). A meta-analytic review of the common-sense model of illness representations. Psychology and Health, 18(2), 141-184. 11. Meyer, D., Leventhal, H., & Gutmann, M. (1985). Common-sense models of illness: the example of hypertension. Health Psychology, 4(2), 115. 12. Stampfer, M. J., Hu, F. B., Manson, J. E., Rimm, E. B., & Willett, W. C. (2000). Primary prevention of coronary heart disease in women through diet and lifestyle. New England Journal of Medicine, 343(1), 16-22. 13. Stein, C. J., & Colditz, G. A. (2004). Modifiable risk factors for cancer. British Journal of Cancer, 90(2), 299-303. 14. Yusuf, S., Hawken, S., Ôunpuu, S., Dans, T., Avezum, A., Lanas, F., ... & Lisheng, L. (2004). Effect of potentially modifiable risk factors associated with myocardial infarction in 52 countries (the INTERHEART study): case-control study. The Lancet, 364(9438), 937-952. Ever since I was a little girl, I loved to theatrically sing along with the radio. I pretty much knew the words to almost every pop song from my youth, but some of them just really moved me. Despite being a young child with relatively few life experiences, I intuitively connected with the emotions underlying the songs. I sang along with these songs passionately and sincerely, like they were my own. I often gave spirited performances for my family and friends. I’m thankful now that this was before the proliferation of smartphones and digital cameras (although it would be kinda cool to watch Kindergarten Me performing Wilson Phillips). I had this strange rule, though. If I happened to catch my favorite song on the radio, after it was already 30 seconds or more into the song, I lost interest. I would venture to say it even made me mad. It was like I could only allow myself to really enjoy the song if I knew I could enjoy the whole thing in its entirety. Which makes no sense because it was the exact same song that I absolutely loved. I had an analogous feeling today. Looking at my calendar, I thought, “I can’t wait for next year.” Why did I say these words? To be honest, this year has presented a lot of challenges for me. I wanted a fresh start, a chance to refocus on my goals and plan big with the entire year ahead of me, a blank canvas. After hearing myself speak this thought, I immediately sensed the irrationality behind it. We have just entered into the month of September, which still leaves four more months, 16 shining weeks, of potential to explore! I was ascribing some kind of profound significance to the date on the calendar, in the same way I used to do with the beginning of my favorite songs on the radio. It is as though I could only allow myself to think big about my goals, and enjoy the thrill of ambition, at the beginning of a new year. I found further inspiration and validation to reset when I contemplated the reality of my essence as an organic living being. This means that every single cell in my body (skin cells, blood cells, and everything that I'm made of) is going through a constant cycle of dying, shedding, and being replaced with something new. Why should I have to wait for a specific date on the calendar to hit the psychological reset button? There is an old Chinese proverb, “The best time to plant a tree was 20 years ago. The second best time is now.” While it’s true that I could have started earlier, planting the seeds for all that I want to accomplish and grow, some of my seeds were left out. There will always be more seeds I will wish I planted 20 years ago. There is often good reason for this. I didn't know then (January 1, 2016) what I know now. I am a dynamic living organism. Inevitably, my perspectives, intentions, abilities, and priorities are constantly evolving. With this realization, I consciously choose to focus on taking actionable steps towards accomplishing something now, today, that will allow me to flourish in the near future. You can try this. Examine the items on your “abstract existential shortcomings” list and translate them into a “more concrete and immediate doable things" list. What are some small, attainable steps you can take to make some progress towards your aspirations? Pick at least one thing you can do TODAY to get you closer. Revisit and update this list often. Maybe you had to get a later start than you would have wanted, but the good news is that you still have the opportunity to sing aloud to the song of your life. And you ought to sing it loudly, with gusto, no matter how much time you think you have left.